Jeroen Minnema at Ocean Independence contacts me to say that the price of his central agency, the 28.27m Mangusta 92 Elektra's has been dramatically reduced. Delivered by the Overmarine yard in 2005 she has, says Jeroen, an excellent four stateroom layout for the charter market, sleeping up to nine guests in three doubles and a twin plus a Pullman berth. 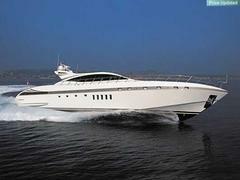 The owner wants this megayacht sold before the start of the Mediterranean summer season so offers are encouraged. Previously marketed at €4.75 million, Elektra's is now asking €3.8 million.